Welcome to millys mini kitchen! 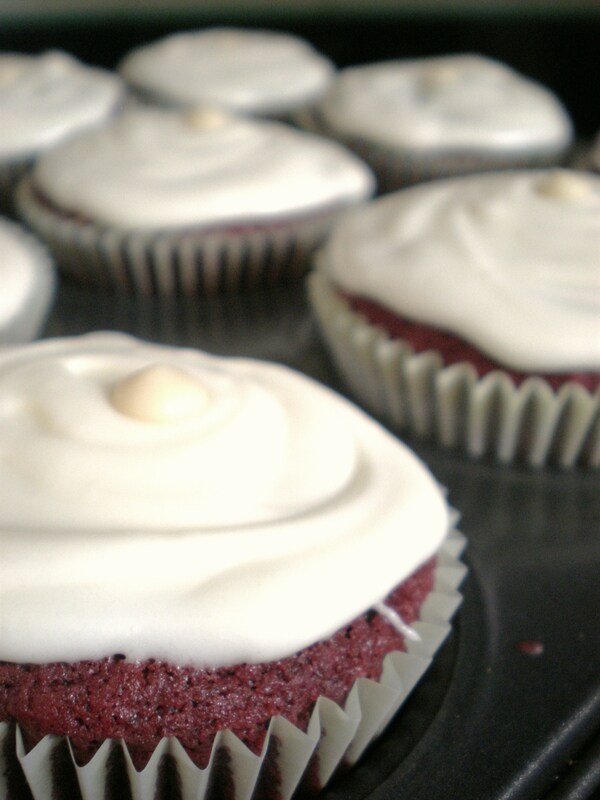 So, I’m a huge fan of red velvet cake… and cupcakes in general! So where better than to start with this amazing recipe. I’ve added my own touch with the white chocolate chips, and if you don’t like white chocolate of course substitute this for plain/dark chocolate of even fruit of some kind. It’s up to you. Yum! 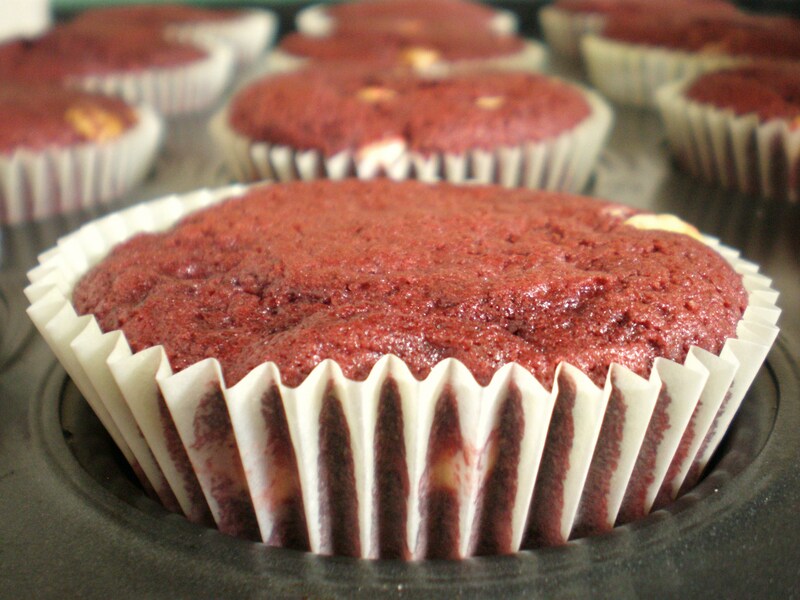 These cupcakes so light and very very tasty (not too sweet at all) and i highly recommend you make red velvet cake at some point (if you haven’t already). 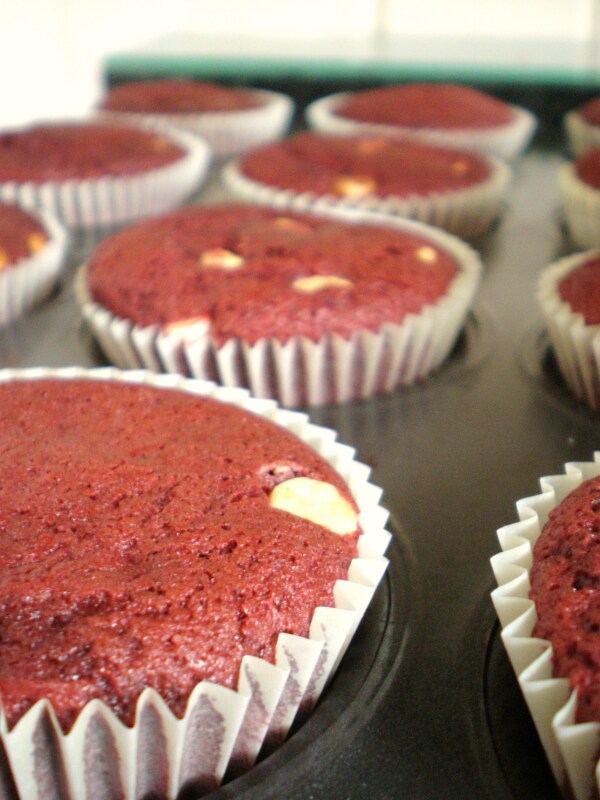 What makes red velvet so good is that its not sickly sweet, as some cakes can be. The cocoa makes it so moreish, which is why they’re irresistible. *I had actually run out of plain flour so used self raising flour instead. This worked fine. 2. Beat butter and sugar. Slowly add the egg and beat well. 3. 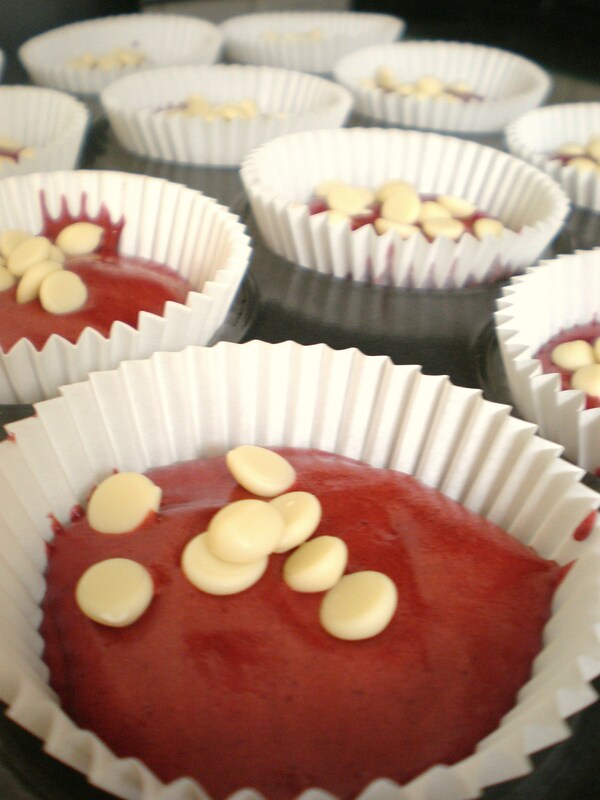 In a seperate bowl mix the cocoa powder, food colouring and vanilla. Add this to the first mixture and mix together. 4. Pour in half the buttermilk, mix, then half the flour, mix, and repeat this so it’s all added. Beat all together. 5. Add the salt and bicarb. of soda, mix. 7. Spoon into muffin cases evenly. It seems like a lot of mixture but it’s fine. Bake for 20 minutes. 1. cream the soft cheese and butter together until soft and lump-free. 2. slowly add the icing sugar and whisk for about ten minutes. 3. add the vanilla extract and mix for 2-3 minutes. 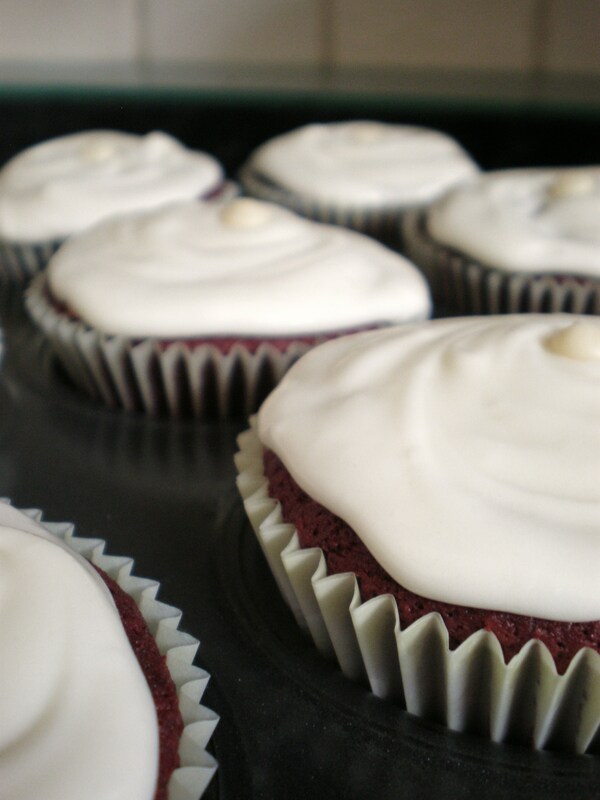 This frosting (like most of them) works so much better when you have an electric mixer… which I do not have. But I have a strong whisking arm! 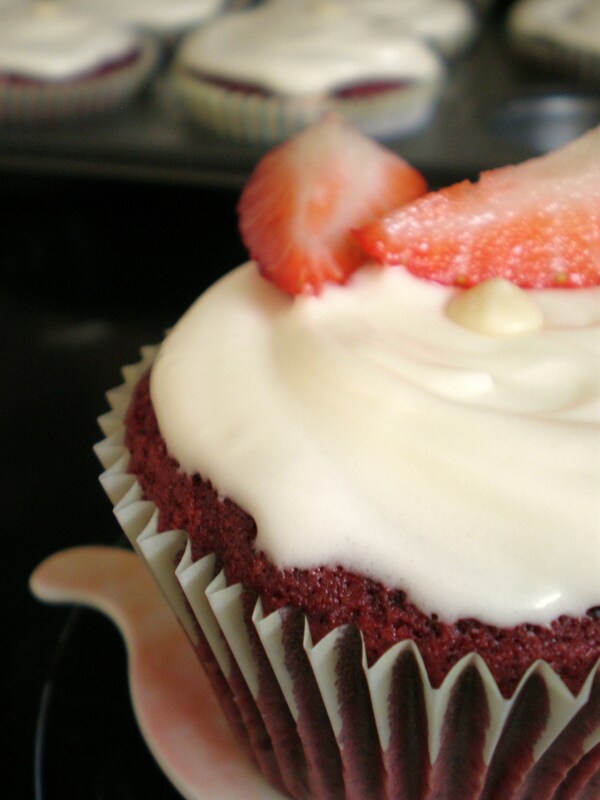 It also made a bit too much frosting, but it depends on how much you like on your cupcakes. I even halved this from the original recipe… Martha Stewart likes her icing! I made the vegetable bake yesterday for lunch, very tasty and juicy. I also roasted chicken for the non veggie folks which went very well with iy. I enjoy your blog and look forward to trying the cake recipes soon.